Ayreon have released a trailer for their upcoming live DVD The Theater Equation. The package will be available on DVD and Blu-ray from June 17 via InsideOut Music. The show was filmed last year in Rotterdam and features Dream Theater frontman James LaBrie alongside Heather Findlay, Anneke van Giersbergen and others, plus a 19-piece rock choir. 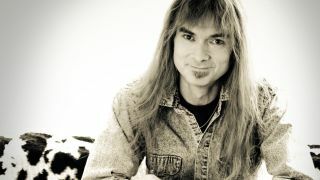 Ayreon mastermind Arjen Lucassen based the performance around his 2004 album The Human Equation. The Theater Equation is subtitled in nine different languages and includes 90 minutes of bonus content.